As a benefit to our members, we provide them with opportunities throughout the year to earn continuing education credits. 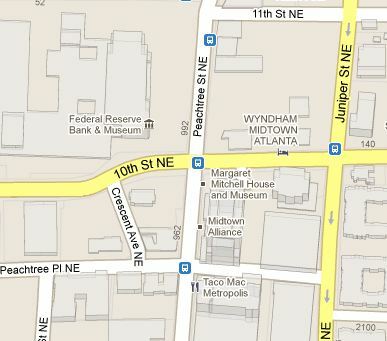 Our Lunch & Learn Meetings take place in the 999 Peachtree Street Building – 5th Floor Conference Center in the heart of Midtown. 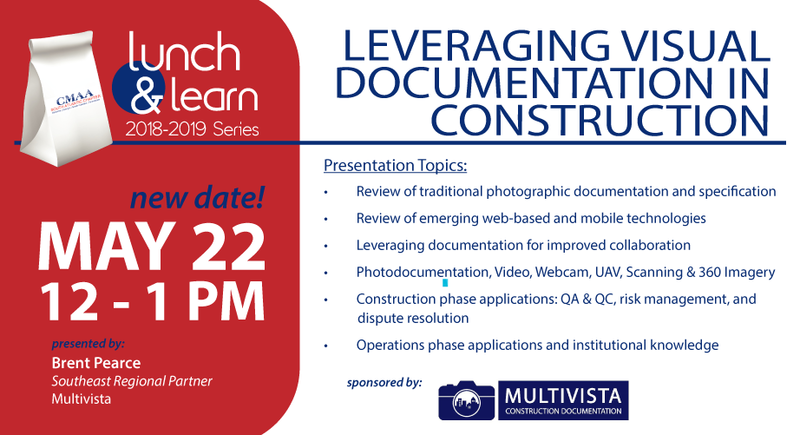 These are low key events and provide members and guests the opportunity to learn from the most competent sources for professional education and training related to the Construction Management profession. All proceeds go towards funding the annual scholarships at our awards banquet in June. If you are interested in being a presenter, please contact Henry Gomez by email. 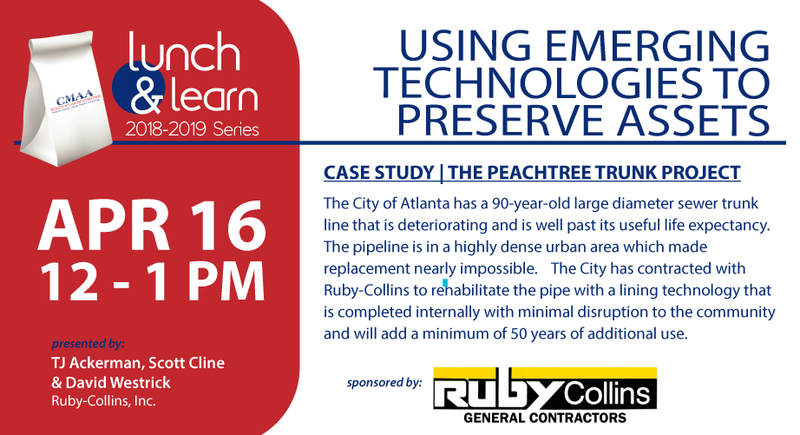 The City of Atlanta has a 90-year-old large diameter sewer trunk line that is deteriorating and is well past its useful life expectancy. The pipeline is in a highly dense urban area which made replacement nearly impossible. The City has contracted with Ruby-Collins to rehabilitate the pipe with a lining technology that is completed internally with minimal disruption to the community and will add a minimum of 50 years of additional use. Please note, parking validation is not available for deck parking, however there is “free” parking available on Juniper, south of 10th Street on both sides of the street.